Home/Back Issues/2018/What is an ICO? 2017 has been called the year of the ICO with the emergence of Initial Coin Offerings and over $6.1 billion raised for more than 870 different companies. This was almost 70 times the amount raised in 2016. The $6.96 billion already raised in 2018 for over a thousand companies, suggests that 2017 was not a flash in the pan and could have been the start of the era of the ICO (source ICOData). This is an incredibly fast moving market and has evolved significantly since the second half of 2017 when almost all ICOs seemed to be oversubscribed in a mad gold rush by investors. In 2018, the ICO market has matured, with investors being much more selective, looking for companies ready to launch with new technologies where the coins play an integral role in building a community around the products. With institutions and funds entering the field and the inevitable regulation, the ICO market is about to evolve further. Regulations should improve the overall standard of ICOs and weed out the incompetent teams and projects whilst introducing Anti-Money Laundering and Know Your Client procedures. 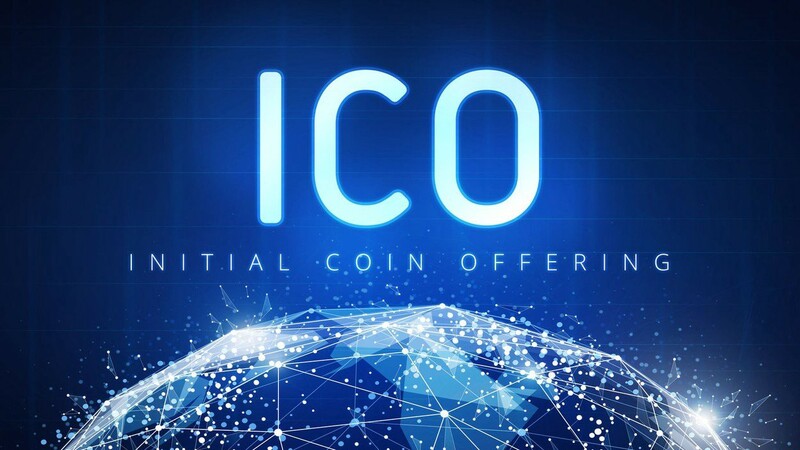 The term Initial Coin Offering (ICO) is a little misleading as many assume it only relates to the launch of a new cryptocurrency. A more accurate term would be Initial Token Offering as cryptographic tokens are issued by a company and sold to the public. The tokens are held in a virtual wallet and can be bought or sold using cryptocurrencies or regular currency. Most tokens relate to a blockchain technology and ideally become a vital component in the functionality of the blockchain. There is a finite number of tokens, that way, the value of the tokens should increase if the company becomes successful and the blockchain technology becomes more widely used. For further explanation of blockchain see Blockchain – a Catalyst for Transformation and Blockchain – How does it work? The tokens will typically be either an asset backed security or a utility token. Asset backed means the token value relates directly to the value of a physical or virtual asset. Utility tokens are used to buy goods or service offered by the issuing company. Bitcoin was launched in 2008 and was the first blockchain spawning all subsequent blockchain technology. Ethereum issued the first ICO (Ether) and at the same time provided the platform and structure for all subsequent ICOs. ICOs are new but the concept of companies issuing their own tokens is not, for example Nectar points. Nectar points were launched by Sainsbury’s as a customer loyalty scheme, the more you spent in store the more points you accrued. Accumulated points could then be used for subsequent shops. The Nectar point is a token. 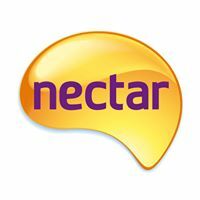 Now Nectar has added additional partners, BP and eBay, where you receive and can use the points thus increasing the appeal to the customer. Now imagine if Nectar points could also be bought and sold on an exchange for cash. That way the appeal is further increased as the holder could cash in points and use the money outside of the Nectar partnership. The buyer of the points will purchase the points at a discount and can then use them in Sainsbury’s, BP or eBay. It’s a win-win-win. An ICO is where the token becomes tradable on an exchange whereby they can be bought and sold as above, except they are traded in cryptocurrency. 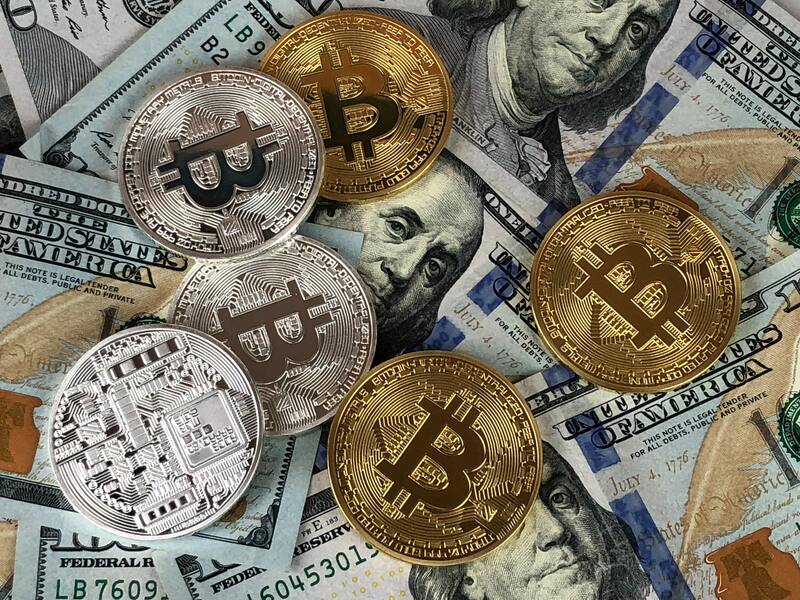 For a successful blockchain company, this enables the holders of the tokens to cash in and convert the cryptocurrency back to cash, the buyers of the tokens to then use them to utilise the service provided by the company and in addition traders may speculate on the value of the tokens as they might with a share. The number of IPOs globally in 2017 was the highest since the financial crisis with a resurgence in the US and a record number of Chinese deals. In total there were nearly 1,700 flotations raising $196 billion (source: The Financial Times). This obviously dwarfs the $6.1 billion raised through ICOs. What this does not take into account is that ICOs are generally a seed funding. 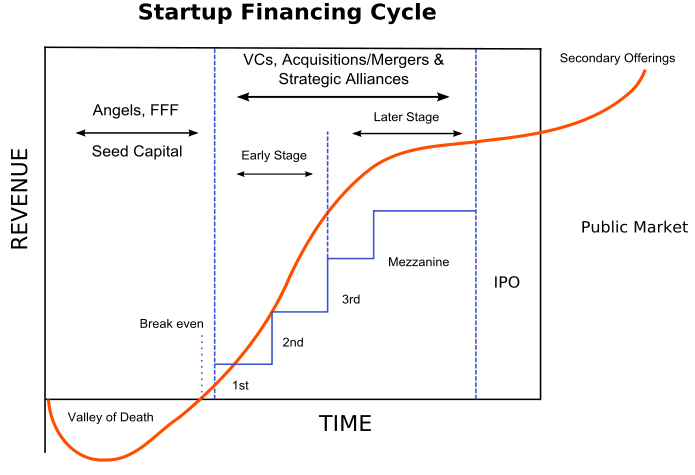 Venture Capital starts with seed funding and is followed by Series A, B, C onwards. 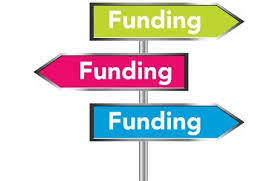 Often an IPO will be the fifth or sixth round of funding for the company. As ICOs become more successful and popular, they will appear on the radar of more institutional investors. This in turn could lead to token sales becoming a recognised route for established companies to raise capital without issuing equity and avoiding dilution of shareholders. Additionally, it creates the opportunity for the company to leverage the value of its brand and galvanise customer loyalty. All large corporations will need to examine how blockchain is a threat and opportunity for their business, at the same time they should consider building a token sale around the blockchains they adopt. The issue of tokens to raise expansion capital means that the founders are not selling equity in the company. This means they retain control and also greater upside if the company is successful. Relating to an everyday example, if the owner of a successful coffee shop decides he wants to open an additional shop, traditionally this will be done by selling shares in the business. If the value added is significantly higher than the value of shares issued, then both business owner and shareholders gain. As an alternative, the coffee shop owner may sell tokens to his loyal customers. For example, a token enables the customer to spend £1 in the shop and can be bought for 80p. Effectively, the token sale is an advance on future sales and increases customer loyalty whilst the founder retains full ownership of the expanded business. Additionally, if the tokens are tradable on an exchange then this again creates an option for the token holder to sell the token for say 90p, realising a profit whilst the buyer is receiving a 10% discount when spending the token in the coffee shop. Many of the major investors in ICOs have come from successful VC backgrounds. As such, they bring a wealth of investment analysis, selection and mentoring experience. Similar to venture capital, the due diligence bar is set high as investors are fully aware that only a minority of deals will work but they will have the potential to show stellar returns. Many VCs are investing at the equivalent of seed or Stage A finance, building a diverse portfolio in disruptive blockchain technologies. The investment will generally be structured between equity and tokens. This creates a major benefit to investors as an ICO can often be conducted within 12 months of initial investment. This could be a significant liquidity event without the company going through the usual and often long winded path to a trade sale or listing on a stock exchange. 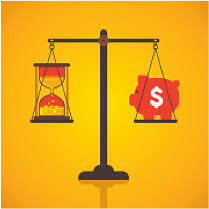 The number of tokens has to be limited and ideally reduced overtime. Customer loyalty can be built within the community by offering additional benefits only available to the token holders. An airline could guarantee an upgrade for every nine tickets bought or first class travel to the airport with fast track check in; a cinema group could offer token holders access to exclusive film premiers; an Amazon token could allow exclusive access to Black Friday offers twenty four hours before anyone else. Artificial intelligence (AI) and Blockchain are generally expected to be widely adopted over the next ten years. Whilst blockchain relies on being decentralised, AI development is increasingly in the hands of the major tech companies, Google, Amazon, Microsoft, Alibaba etc. Not only do these companies have the budgets to hire the brightest minds in AI, they also have unparalleled access to a huge amount of data. This data is needed to feed into the AI algorithms to develop and instill the machine learning functions. For more information on AI see AI – The Winners and Losers and AI-The Most Transformative Technology of the Century? Smaller independent AI developers are at a major disadvantage. AICHAIN is a company using blockchain technology to develop a collaborative network of AI resources and data to level the playing field. Individual developers or small companies can share assets ranging from AI software, intellectual property, storage on servers, processing or computing power and data. The blockchain records the assets users have made available, identifies other users wanting to utilise the assets and uses smart contracts to make sure the contributors receive payment for any use of the assets. Other users can combine the assets in order to create new applications. The developer will pay for the assets used but will own the new application. The new application then becomes an asset on the network for other users. AICHAIN will be a library, store and database to encourage collaboration, rapid product development and innovation. Privacy is protected through the blockchain and Digital Rights Management software. The assets will be encrypted and can only be unlocked if digital payment is made which at the same time identifies the user. The AICHAIN product will enable SMEs to have access to the latest AI technologies normally only available to the largest corporations boosting use and revenues for the contributors. AICHAIN was originally funded by Bitmain, the world’s largest mining software developer for cryptocurrencies. In January 2018, AICHAIN launched a token pre-sale raising $30m to develop the product. The pre-sale sold out in two days. All payment for assets on the AICHAIN will be made with the tokens. In theory as the network grows, so should the value of the tokens. If the product is successful, AICHAIN may decide to list the tokens on an exchange through an ICO which could present the investors in the pre-sale with a significant liquidity event.